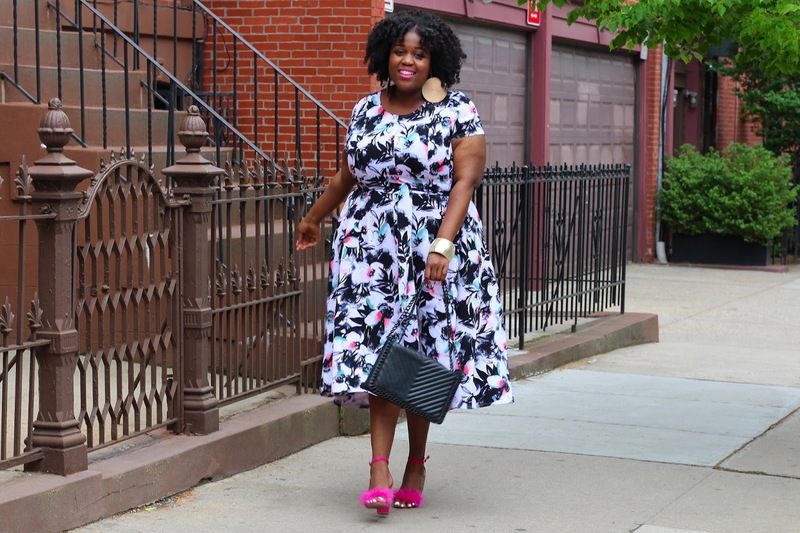 You Need This Spring Dress ft. Lane Bryant. 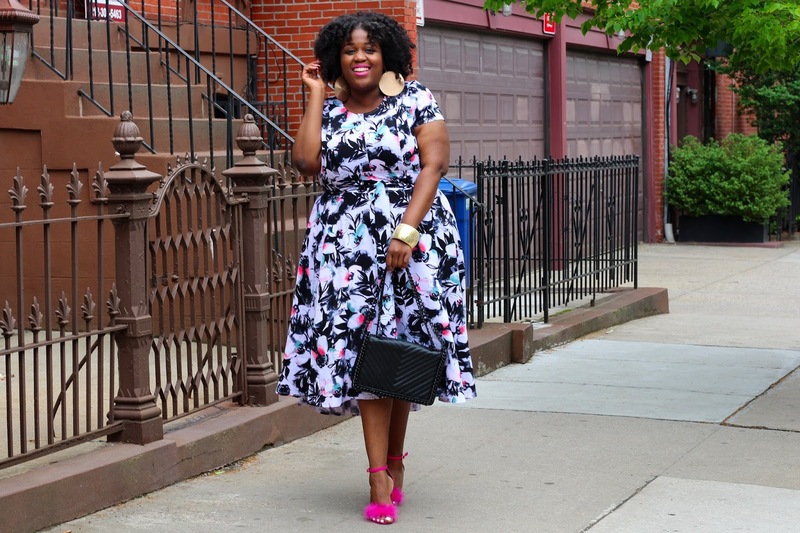 This blog post is sponsored by Lane Bryant. It is the season for Spring dresses ladies! 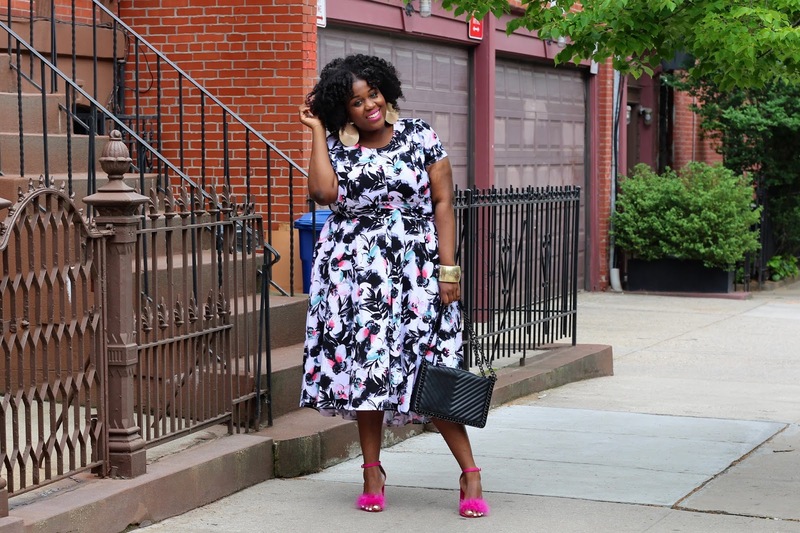 My favorite dresses for the season are the beloved maxi dress, midi dress, and sundress. 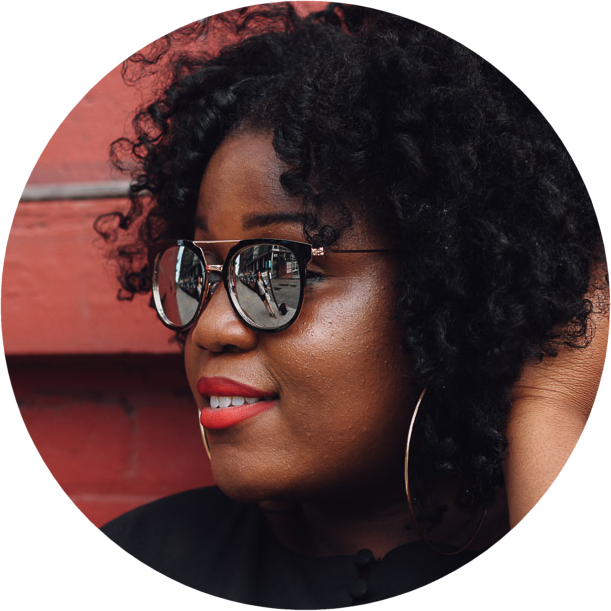 Whether you are the women who loves a certain type of dress style, Lane Bryant has you covered with so many styles to choose from. Today, I am featuring a beautiful Belted High-Low Maxi Dress from Lane Bryant. I absolutely love the fit, style, and print on this dress. Its so perfect for Spring. I decided to go bold with this dress and rock some gold accessories and my feather Clueless 90's inspired sandals. This dress was perfect for brunch. However, you can totally rock this dress with cute tennis shoes, gladiator sandals, or flats. Lane Bryant hands down in my opinion, makes the best plus size dresses that will last you for years. I have tons of Lane Bryant dresses that I consider a classic, which I still have in my closet today. I can't wait to add this dress to my closet too! Don't forget to check out the rest of Lane Bryant beautiful dresses. Their is currently a 50% sale that you don't want to miss ladies! Amazing post! What a stunning look you have in this spring dress. This is like Weight can not effect the dressing sense. You have stunning look in this dress. Check on Nexter more plus sized outfits ideas for 2019. Thanks!